When I first encountered the Desires and Longings map, I was conflicted. A part of me wanted to enter into the process because the other maps in the ‘Listen to My Life’ process had been so helpful. But I also felt afraid. The past was laden with negative experiences around these two words. Unmet longings had left me feeling discouraged and wondering why I would bother noting them again. Frustration surfaced as I struggled to even name my desires. What if I wanted something that God didn’t want for me? Could I let that go? I was a mess. There were land mines in every direction. Nine years later, I’m grateful this map was created so I could learn how to have this conversation with God. I’ve learned to notice what I want and to interact with God about those discoveries. While I realize my desires need to be refined, I’ve found the process is less arduous when I trust God’s good intentions in the midst of the exploration. Last fall, my circumstances developed into an undesirable outcome where I didn’t know what to do or what to want. I received a fresh perspective several weeks into my struggle with a concept from NT Wright. Rather than starting at the end of the Lord’s Prayer (where we ask for help), if we start at the beginning (where we express honor and trust to God), we can open up the conversation and he can help us align our desires to his through prayer. Dear Lord, we need your help knowing and naming what we desire. We need your help exploring and trusting you with our desires. Help us to be open hearted where we need refinement. When the refinement has come and we need to follow you forward, give us courage! Amen. 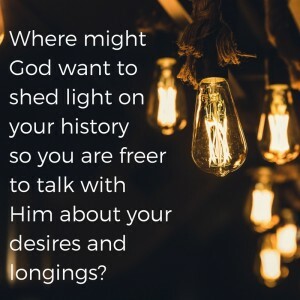 What desires and longings might you be able to acknowledge and take into conversation with God? 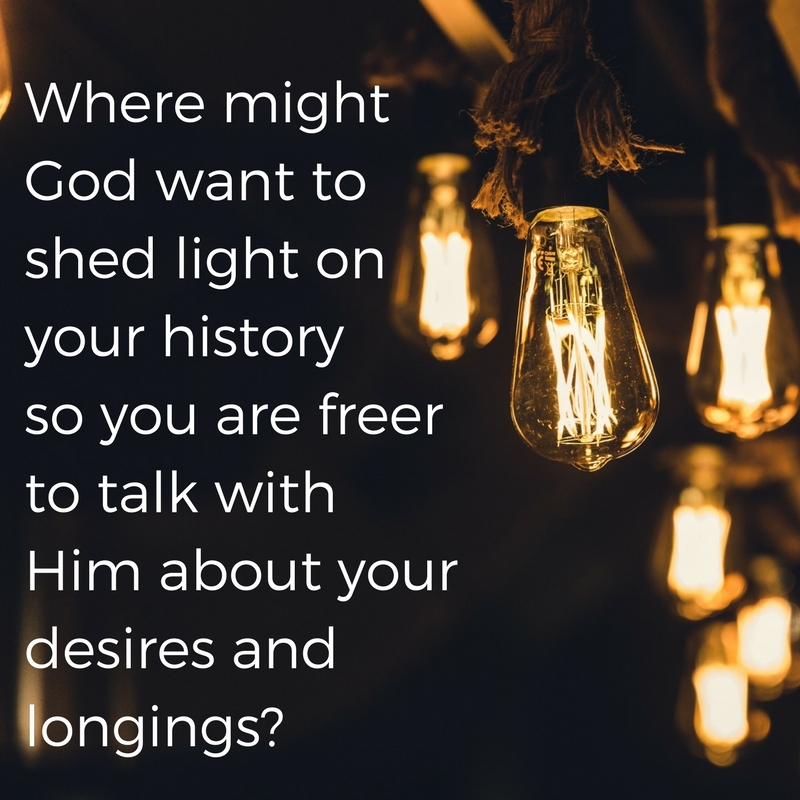 Where might God want to shed light on your history so you are freer to talk with Him about your desires and longings? Has praying the Lord’s prayer ever been a practice for you? If so, how has it been helpful? Matthew 6:9–13 (ESV) "Pray then like this: 'Our Father in heaven, hallowed be your name. Your kingdom come, your will be done, on earth as it is in heaven. Give us this day our daily bread, and forgive us our debts, as we also have forgiven our debtors. And lead us not into temptation, but deliver us from evil.'"